Determining that a public relations firm has the right chops for the job is just the first step in a quest to find the right PR partner. It’s not enough for an agency to look good “on paper.” The two companies need to delve into each other’s assets and attitudes to see if the fit is right, and that often starts with a series of questions. In our experience some questions are more likely to elicit stock answers that don’t really reveal how an agency team would approach a client’s opportunity. Others are more worthwhile. No question is wrong, of course, but here are some examples of less useful questions and alternatives that work harder to get at meaningful responses. How quickly will PR improve our sales? We like to set the record straight with companies by discussing goals at the outset and being realistic about what well-executed PR can achieve. Needs differ, but strategic PR is typically better at building brand visibility and reputation over time than it is at generating quick sales. We also encourage company executives to incorporate PR into the marketing mix so our efforts can work in concert with direct-marketing, paid advertising, or promotion to help each meet its more sales-oriented objectives. Translation: if an agency promises a sales spike, be wary. How much should we budget for PR? This is always tricky territory. More experienced companies have an understanding of how agencies work and what they charge. Start-ups or less experienced firms may not fully realize the range of potential costs and can experience serious sticker shock on hearing fees of $10,000 per month or higher. We advise companies looking for PR partners to calculate a realistic and affordable budget and to ask the agencies what they can expect for that expenditure. This advance work weeds out agencies whose fee could be a barrier and allows those who do want to participate in a search to prepare a truly workable plan. How will you get our CEO into the Wall Street Journal? It’s important to help a potential company partner gain a thorough understanding of target media and how you define success when it comes to earned press opportunities. But here flexibility is key. It’s best to select a team you can collaborate with to develop a range of media targets that help reach the right audience instead of jumping to conclusions without research or pinning your hopes on a single outlet. And, if your CEO is WSJ material, tell your agency why. Make them understand why you have a great story to tell. Can you guarantee press results? Always be skeptical of an agency promising specific earned media results within a given time period. We guarantee our partners that we will work with them to ensure we capture the most compelling story, get it into the hands of the most receptive reporters and convey any hurdles we encounter. And we will keep working with them to hone that story and research reporters until we achieve success. This kind of commitment often requires work on both sides to ferret out the most interesting parts of a company story and package them for different media. For example, many companies can only envision stories in major publications in which they’re exclusively featured. The savvy PR team will point out that not every CEO or founder is ready for a profile yet. However, there is great opportunity to be part of a valuable round-up story, including them with other respected companies such as this one including online staffing software company, WhenIWork.com. Why is my competitor getting more coverage than my brand? It’s normal to scrutinize competitors and to be curious about coverage that seems out of whack with reality, but you’re unlikely to get a satisfying answer. 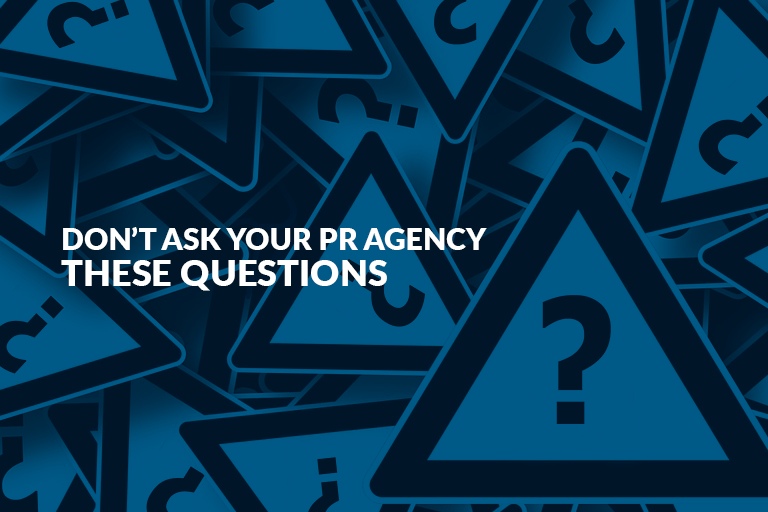 A more productive question might be one that asks the PR agency team to offer their point of view on your brand within your sector. Ask for unvarnished feedback on your company’s digital reputation, for better or worse, and the challenges and opportunities gleaned from their research and experience working in your space. Remember, their goal is shaping and conveying a story that differentiates your brand, not copying a competitor.